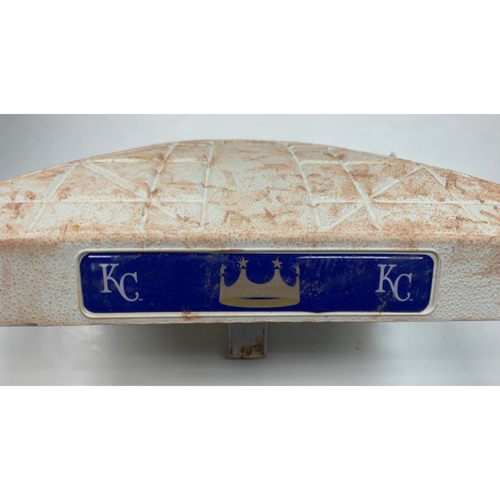 Bid now to win this game-used base from July 20, 2017 against the Kansas City Royals. This base was used as 3rd from innings 5-9. 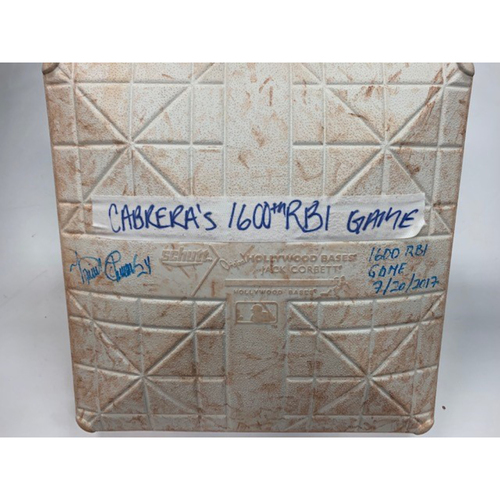 Miguel Cabrera hit his 1,600th career RBI this game. 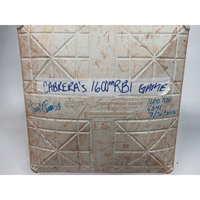 Cabrera autographed and inscribed "1600 RBI Game 7/20/2017".